This evergreen magnolia (formally included in Michelia) makes a large, multi-stemmed shrub with glossy deep green foliage. This variety of banana shrub blooms over a long period from spring into early summer with dark burgundy flowers. The blooms have a fruity fragrance reminiscent of bananas. Best in full sun to light shade in average well-drained soil. 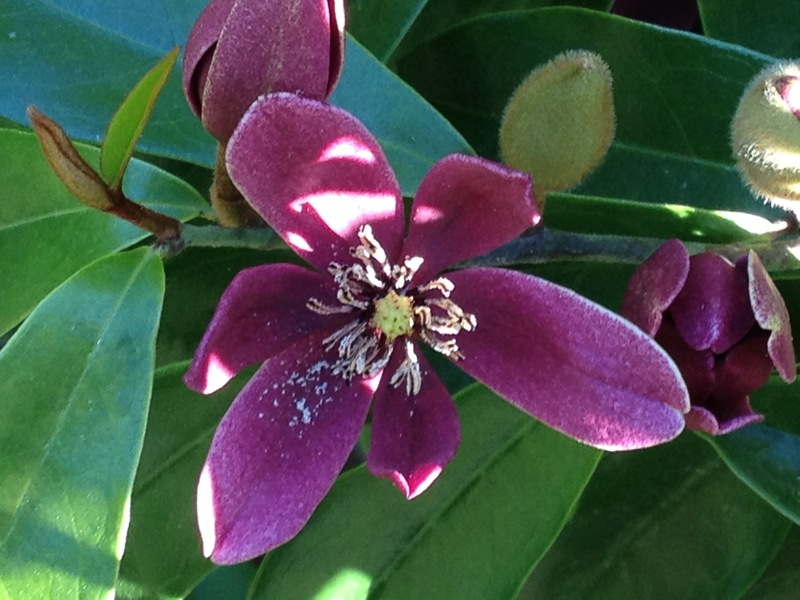 This entry was posted in Plant of the Day and tagged flower, JC Raulston Arboretum, JCRA, magnolia, plant on May 30, 2013 by Mark Weathington. Wow! That is a beautiful color! Now, if someone would work to get this color in the Southern Magnolia gene pool……..